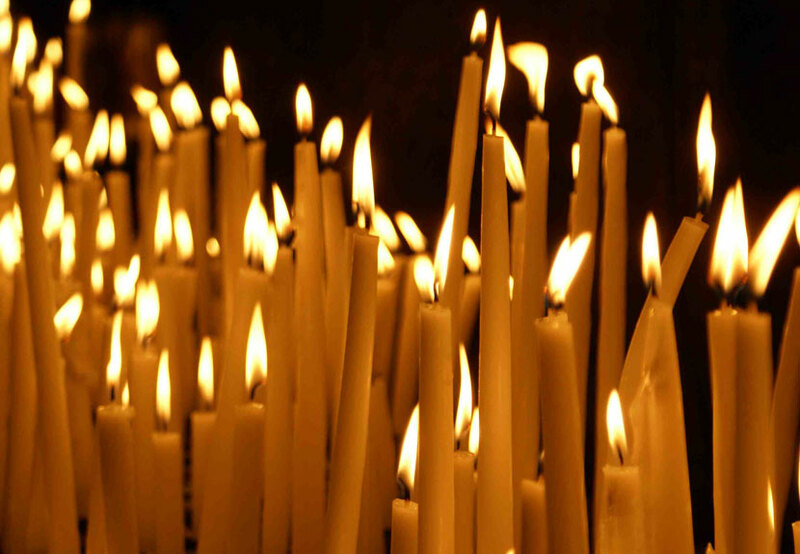 The Clergy, Executive Board, and Members of St. Sava Serbian Orthodox Church express condolences to the family of Radmila Jackovich. Memory eternal. Radmila Jackovich, age 87 (December 15, 1929 – December 28, 2016) of Merrillville, IN passed away on Wednesday, December 28, 2016. She was a lifelong member of St. Sava Serbian Orthodox Church, and an active member and past officer of its Circle of Serbian Sisters — “Kolo.” Also a member of S.S.S. – “Karageorge Choir” and the Serb National Federation. In addition, she was a former Cub Scout Den Mother, Pop Warner Merrillville Football Booster, past Calumet High School Football Booster, retired bus attendant with the Gary Public School System. “Roddie” was well known for her delicious home- cooking and wonderful baking. Preceded in death by her Dear Husband Alexander Jackovich; parents, Milos and Bosiljka Pujo, and her brothers: Risto, Baby Risto and Rodomer Pujo. Radmila is survived by her three Beloved Sons: Milan (Sally) Jackovich, Milos (Debby) Jackovich, and Daniel (Desa) Jackovich; Loving grandchildren: Alexander (Stephanie) Jackovich, Sarah Jackovich, Christopher (Miranda) Jackovich, Jason Jackovich, Shelly (Jim) Cook, Petar and Danijela Jackovich; three great grandchildren, Lucas, Gavin, and Peyton; and her siblings: brothers, Nedeljko (late Kim) Pujo, and Donald Pujo; her sisters, Angeline (late Rudy) Rujevcan, Ruth (late Milan) Radjen, Joan (Leonard) Stringer, and Ann Marie Pujo; also, many other relatives, Dear lifelong Friends and many Kumovi. Visitation will take place Monday, January 2, from 2:00 p.m. to 8:00 at Calumet Park Funeral Chapel, 7535 Taft St, Merrillville, IN. A Pomen Service will take place at 7:00 p.m.
Funeral Services will take place Tuesday, January 3, 2017 – DIRECTLY at 10:00 a.m. at St. Sava Serbian Orthodox Church, 9191 Mississippi St, Merrillville with V. Rev Marko Matic officiating. Interment Calumet Park Cemetery. May Her Memory Be Eternal! In lieu of flowers, Memorial Contributions may be made to St. Sava Church. For further information please phone Calumet Park Funeral Chapel (219) 736-5840.